Tailor each individual image using an image filter (black & white, sepia, sharpening etc.) to your needs. 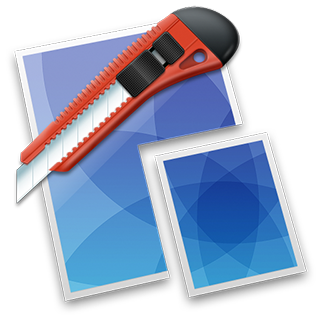 Alter the frame or shadow of any image; choose from various predefined versions. Or display metadata like name, date, comment to any image. Share your latest adventure with custom postcards. Or announce your beautiful baby. 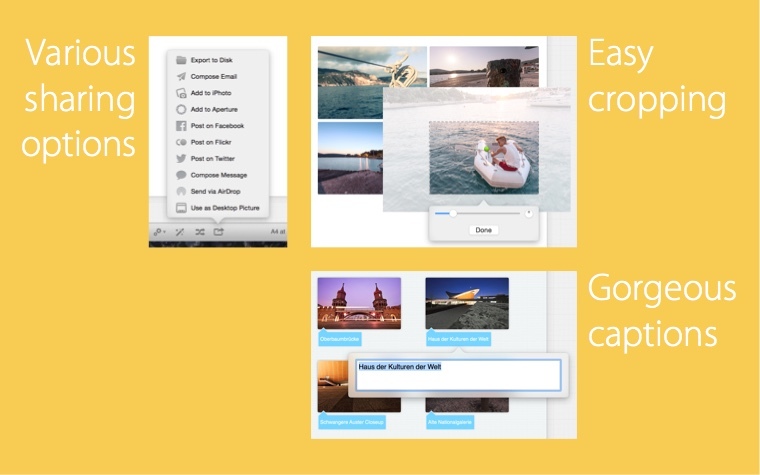 Whatever your news, Posterino offers a variety of templates for creating custom e-cards and sending them off around the digital world. You can even create your very own stamp and postmark. You don’t need a postman when you have Posterino. 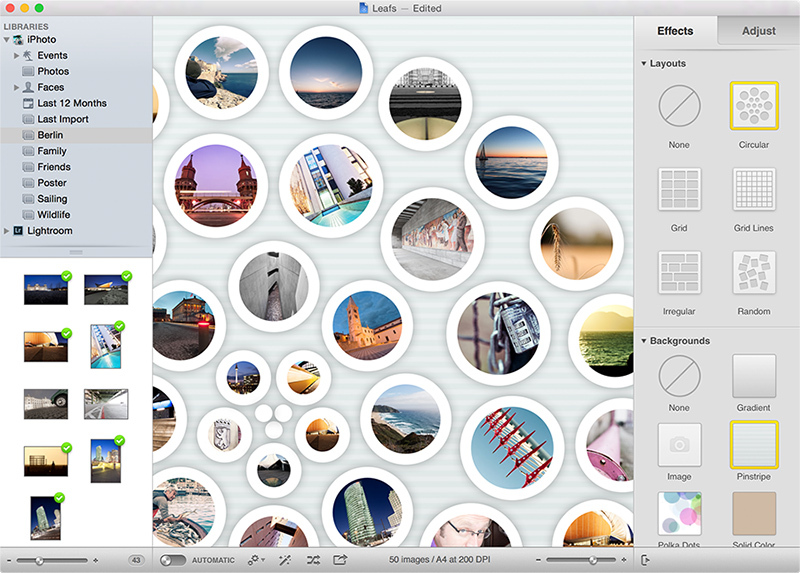 You needn’t be a tech wiz to produce beautiful photo collages with Posterino. Our innovative interface enables a large degree of customization. 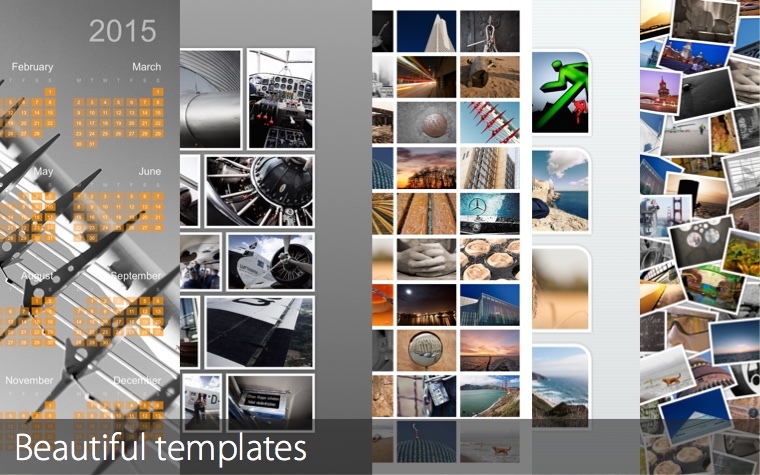 Choose from a variety of templates. Decide among grid, irregular and random layouts. 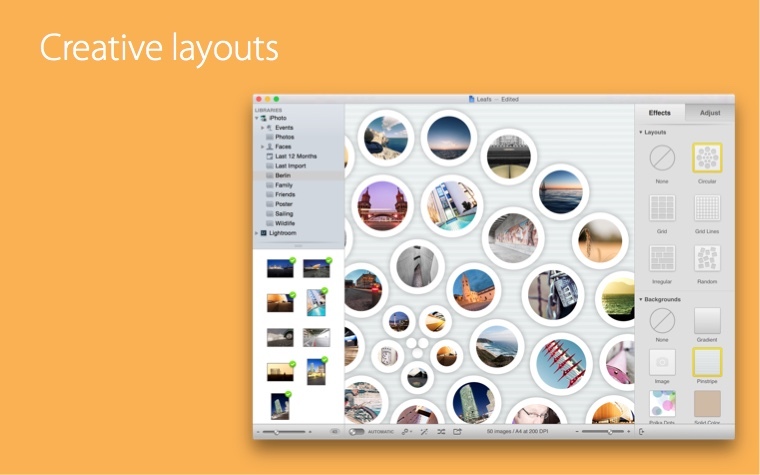 And adjust frames, filters and backgrounds to your liking. Plus changes are accomplished with a single click. Everything in life should be this easy. „As a graphic designer, I often need to do a task in a hurry. Posterino saves a lot of my time. Collages that can take hours can here be made in minutes. This program is so easy and intuitive that it can be used by all - whether you are a professional or not. 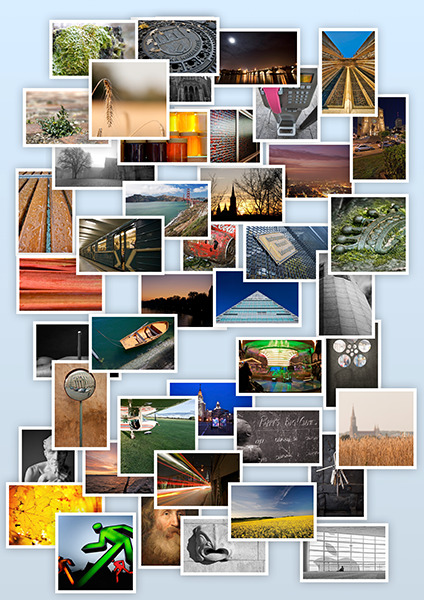 Share your images on: Facebook, Twitter, Flickr, Email or via Messages. 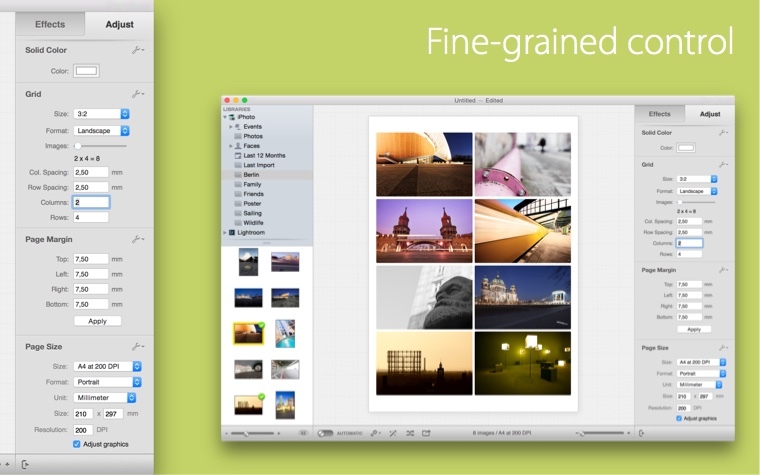 Posterino lets you export your document in various formats like JPG, PNG or TIFF. 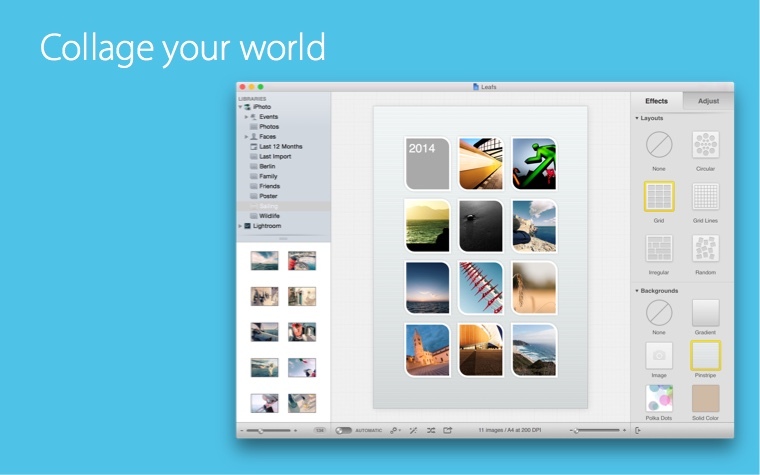 Import your images from: Photos, iPhoto, Aperture, Adobe Lightroom or from your hard drive. 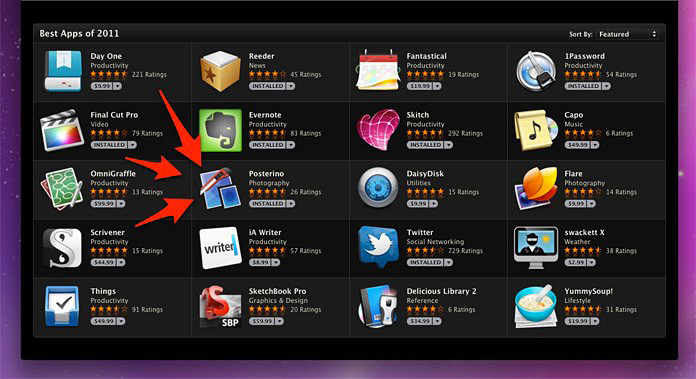 The screencast below will give you a quick overview of Posterino. Enjoy!